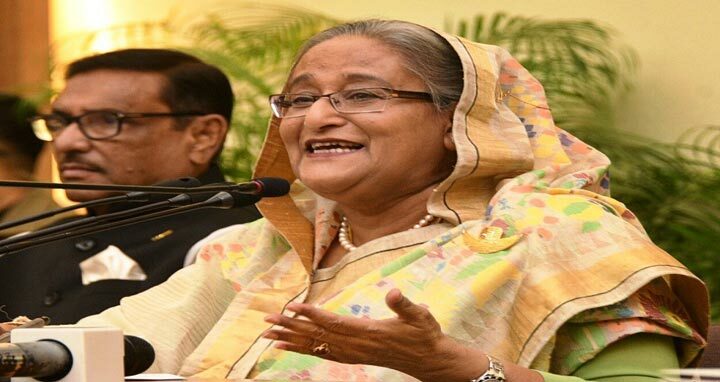 Dhaka, 2 September, Abnews: Prime Minister Sheikh Hasina on Sunday said there is no doubt that the next general election will be held in a free and fair manner. “There’s no doubt the election will be free and neutral… we’re not there to rig votes,” she said while addressing a press conference at her official residence Ganobhaban. The press conference was arranged to brief the media about the outcomes of her just-concluded visit to Nepal for attending the 4th Bimstec summit. “We’re working for people. If people vote us, we’ll be there in power again, otherwise not. I repeatedly said it. I mean what I say,” Hasina said. On Saturday, BNP leaders at a rally in front of its Nayapaltan central office demanded the government release their chairperson Khaleda Zia to ensure the party’s participation in the next polls. About Rohingya issue, the Prime Minister said Myanmar has committed a horrible thing by carrying out falsehood releasing fake photos in social media over Rohinga issue. “They’ve committed a terrible work. They’ve tarnished their own image with this. They’ve destroyed their position at international stage,” she said. During the Bimstec summit in Nepal, Hasina said she had talks with the Myanmar President over Rohingya issue and the repatriation agreement signed between the two countries. Hasina said the Myanmar President told her that they are ready to take back those who want to go back to Myanmar. The Prime Minister said she never wants confrontational situation with neighboruing country Myanmar. The Prime Minister visited Nepal on August 30 and 31 to attend the two-day summit of the Bay of Bengal Initiative for Multi-Sectoral Technical and Economic Cooperation (Bimstec), a seven-nation economic bloc of the South Asia and South East Asia.